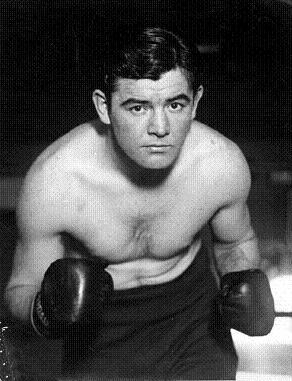 In one of my favorite films of all time, Russel Crowe portrays Irish boxer Jim Braddock, the underdog champion of the Irish masses in the mid 1930s. I loved the movie for several reasons, my Irish heritage being one of them, but the boxer was a man my father remembered and talked about from his early childhood and one of the few movies we’d watch together. He could not see economic devastation any more than we can see a cancer that decides, for reasons mostly foreign to us, to start growing in a human being, a loved one, a father. As men, most of us have pride and we’re willing to fight for things we care about. We’re wiling to do most anything, sacrifice of ourselves, our well being and our future to fight for things that we care about, to fight things we’ve come to despise. But as Braddock so eloquently put it, it becomes terribly difficult to fight those things when we cannot see them. Braddock couldn’t envision the forces that led to a stock market crash and greatest economic devastation in United States history any more than I could see a mass of cells responding to Ultraviolet rays. Sure, he could look at the falling stocks and I could stare at X-rays, but that didn’t make those things make sense to us. He, and I, want to fight something we can see. He could see an opponent standing in the opposite corner of a ring, and I can see a project where I need to solicit support, travel and catch fish. Most of us, especially if you’ve got some resolve and self-discipline about you, don’t need for the world to fall at your feet at your beck and call. We, do, however, need for the things we’re fighting for to be visible, to make sense. Braddock defeating Max Baer did not cure America’s economic crisis, any more than the fish I catch will give us a cancer-free world. But he had the chance to fight for it, fight against something he could see, and that’s all I’m asking for. “There is Nothing to writing. All you do is sit down to a typewriter and bleed.” – Ernest Hemingway. If you’re reading this and you’ve not yet tired of Hemingway references, you will. The man is my hero. He used his life as a conduit for his words. Life flowed through him onto the page and his writing was beautifully sad because his life was beautifully sad and he had both the courage to force himself into that kind of life, the courage to explore love, war and death with the time given him, and the courage to wrap words around them for the world to see. We look at him now as an idol, an icon, but to a man sitting in a tiny Paris apartment, writing about an impotent soldier in love, it must have been a scary business, all that honesty. But he named the book The Sun Also Rises, so how hopeless could he have been? I thought about Hemingway tonight, and how hard that must have been, to force those words, and whatever personal sentiment or connection they had, through the typewriter keys. I thought about many things, the friends here at Emerson who had found the courage to share the pain in their own lives, and decided it was selfish of me to hide mine. 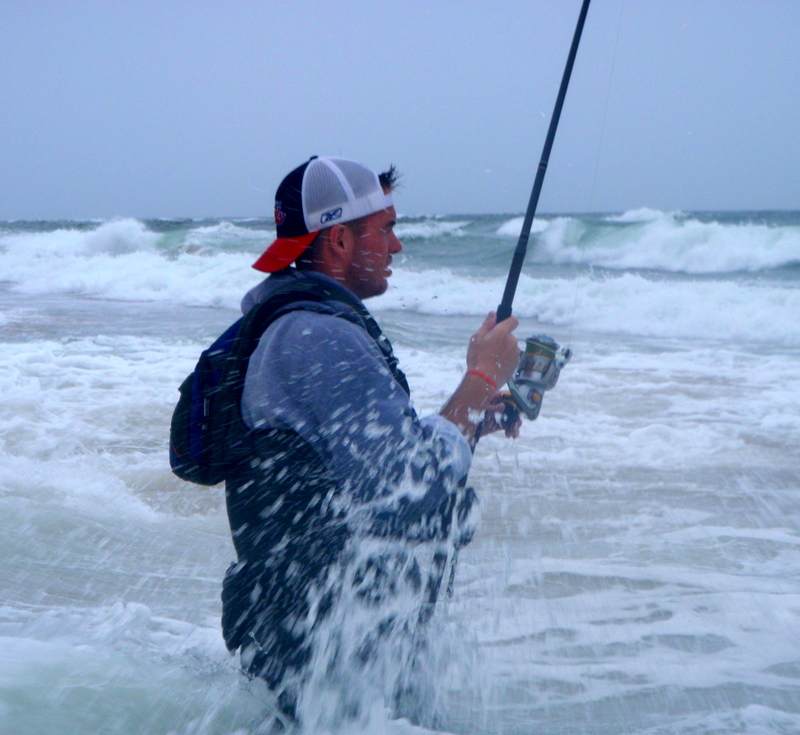 I was fishing America, carefree and young and about as healthy as a 24-year-old could be when my father told me he was terminally ill. I decided to deal with that by drinking, and far too much. My father was a workaholic, spending as many as 18 hours per day closeted in his office, slaving away, only leaving to eat, sleep and attend mass. I thought of him today, standing in an otherwise empty pew, wondering if he could see me or was in some way there. But that meant, to a son living and working in New Jersey, there wasn’t much time together. He doubled his work efforts after his diagnosis, fearing his time to make something to leave us was now frighteningly short. I kept at my own life, then shared, and called every night, in the short span between his arriving home and falling asleep, but the disconnect was enormous. I still have his number in my phone, and sometimes I go to call, but stop short. What if he answered? Every day and night I thought about the time we weren’t spending together and how that distance would become an eternal one whether I liked it or not and although I hope I made every effort to remedy that, when I couldn’t I turned to alcohol. As you do when you lean on alcohol, I lost everything but it. Drinking, in that instance, is like a crutch you lean on to aid a very severe limp, and mine was crippling. Now sober, nearly a year, I’m still struggling to walk upright. Many recovering alcoholics will tell you about the sheer joy and liberation of losing that crutch, of being free from that prison, and they’re not wrong. It is liberating to operate independently of anything in your life that you “need,” but to say it’s easy to go without something you needed, that would be a lie. I still love a lively bar crowd and a cold N.A., some things might never change. 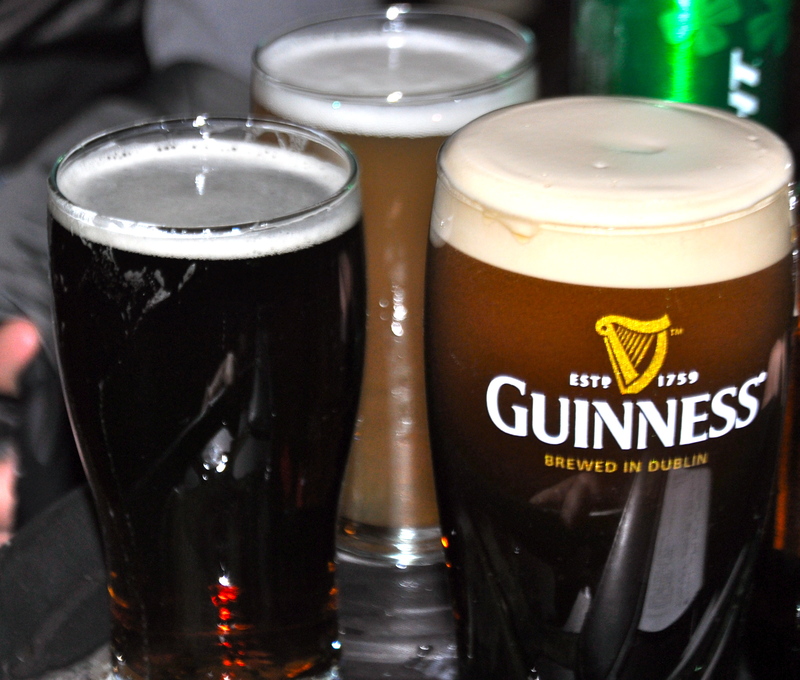 My father was a recovering alcoholic as well (we’re Irish, what can I say? ), and legend has it he put down his last beer when my mother said she was having me, and walked away from his last bar for good. I have faith that strength and resolve is within me as well. But the limp is still there, although I hope I’m getting stronger. And wondering about it all, the nature of it and how best to handle it, I thought, tonight: pain shared is pain lessened, so why not write about it? We come from a long line of Irish drinkers: my father’s side of the family are McCabes and his father passed from alcohol complications. My mother’s side of the family are Gillorens, after county Kilorglin in Ireland, and she lost her father to alcohol-related complications as well. But my Uncle, one of the hardest working men I know, who drives truck back and forth to Harlem from Utica, New York, every day, put down his last beer some twenty years ago. So we’re evolving toward a brighter future, even if it isn’t easy. The road in a way, and this is something I’m sure he knows, calms anxiety in a way few things do. And to that end and many more important ones, I’m looking to get back on it, this December, for Catch a Cure II.